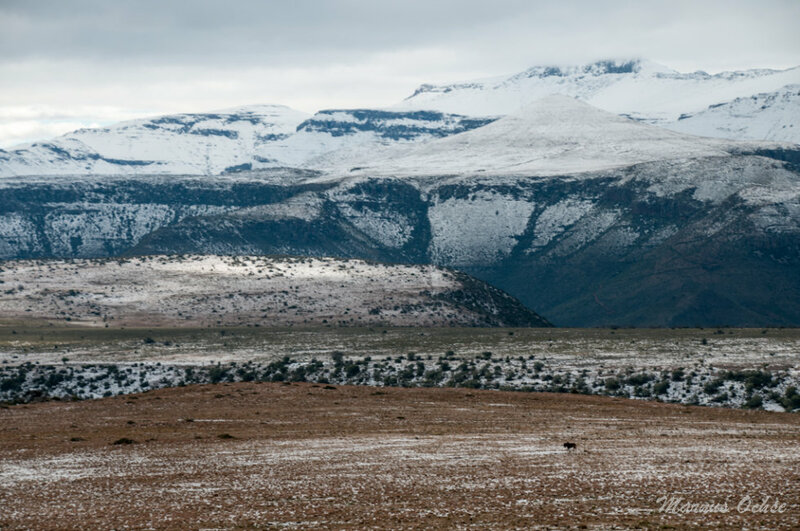 To many a sun-baked South African, snow is a rare and elusive natural wonder, blanketing the country’s highlands a handful of times each winter. Such is its draw that a small but committed group of snow enthusiasts travels around the country in search of the white stuff every year. More than just a thing of beauty, however, snow serves an ecological purpose, replenishing aquifers and protecting plants. Once winter hits, the dedicated snow reporters get active. Temperatures are monitored, low pressure systems tracked, and the prospect of snow fills many with excitement. When snow does fall, it’s not unusual for entire families to pack into cars on the weekend to drive into mountainous regions just to catch a glimpse of the powder. To actually stand in it, feel it, and throw a couple of snowballs around is a dream for many South African children. 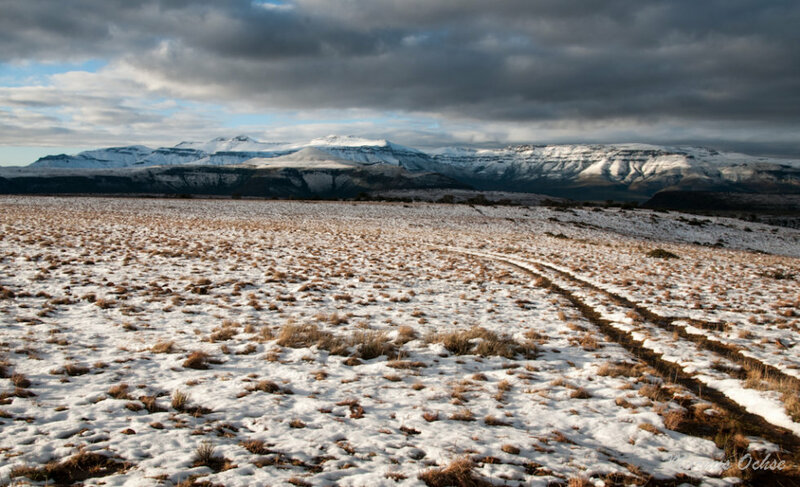 Of course, some regions are more prone to snow than others, including the Drakensberg, Dullstroom and Hogsback. 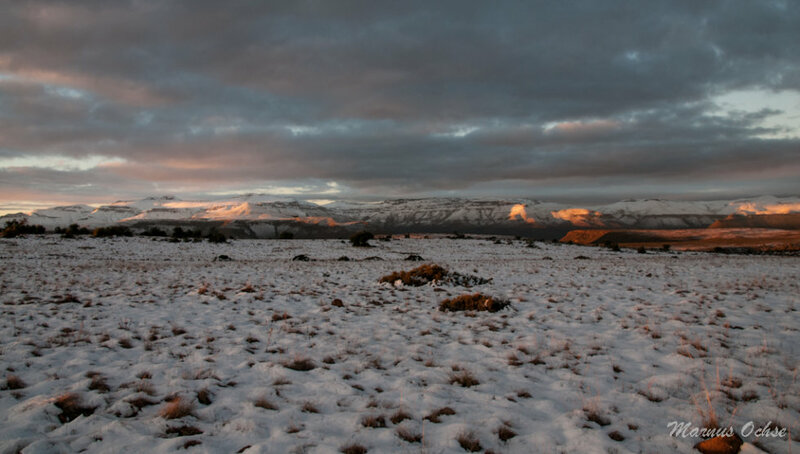 Samara Private Game Reserve in the Great Karoo near Graaff-Reinet experiences snowfall every year. 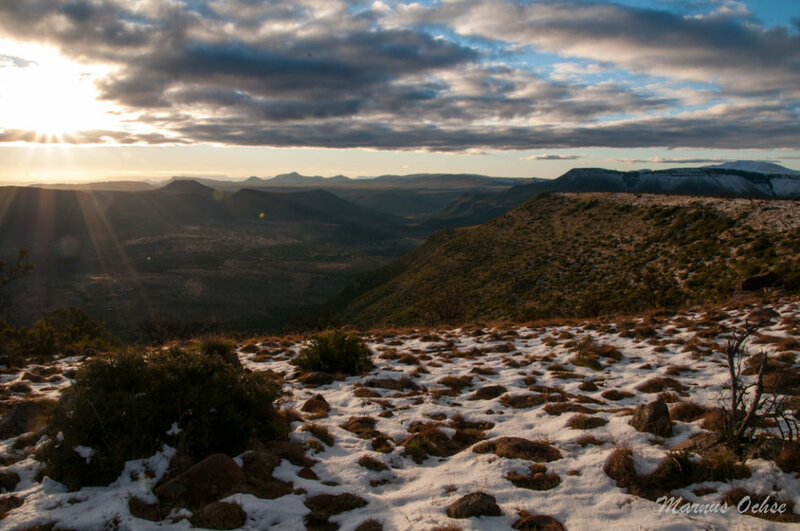 It is situated at the foot of a chain of mountains aptly named the Sneeuberge – Afrikaans for ‘Snow Mountains’. 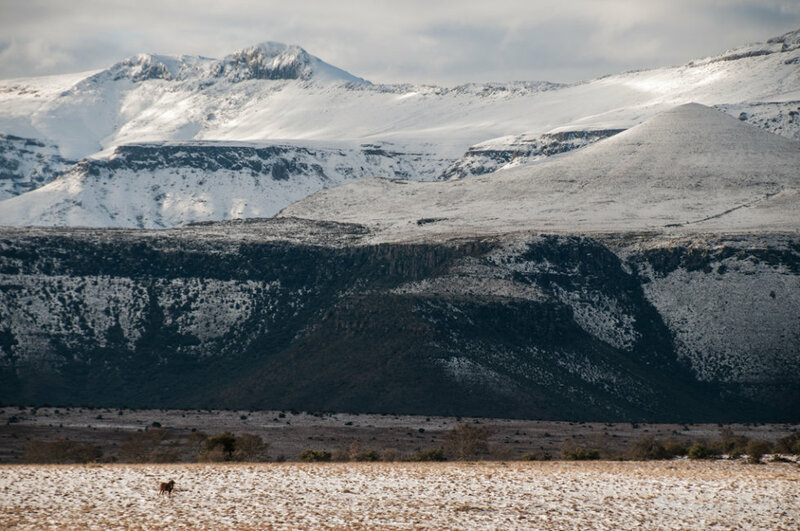 Mostly, only the highest mountain peaks above 1,500 m receive snow, however this year the reserve experience greater and more extensive snowfall than usual. As well as being incredibly beautiful, a certain amount of snow can be beneficial to the ecosystem. 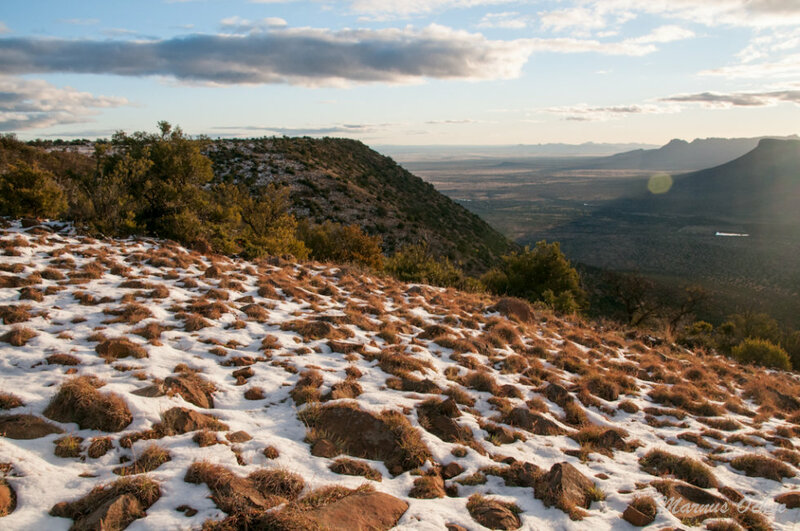 A layer of snow on the ground keeps the topsoil and flora protected from freezing temperatures and cold winds, thus combating frost, which is common in the Karoo winter.  As the earth naturally retains the warmth of the sun, the temperature beneath the snow is always higher than that of the air above it. Snow also contributes to the water table. As snow melts it percolates through the soil, refilling aquifers and providing essential water for root systems, giving them a jump start for the coming spring. 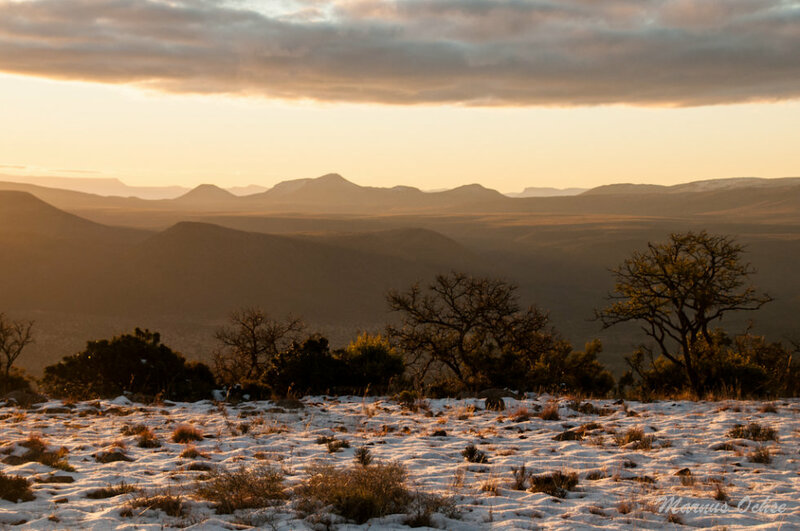 In an arid and dry region like the Great Karoo, all flora benefit from any additional water they can absorb. How thoroughly the snowmelt enters the underground water table depends on the pace of melting – the slower, the better. Enjoy these lovely pictures of the recent snowfall in September 2018, taken by Samara’s General Manager Marnus Ochse.